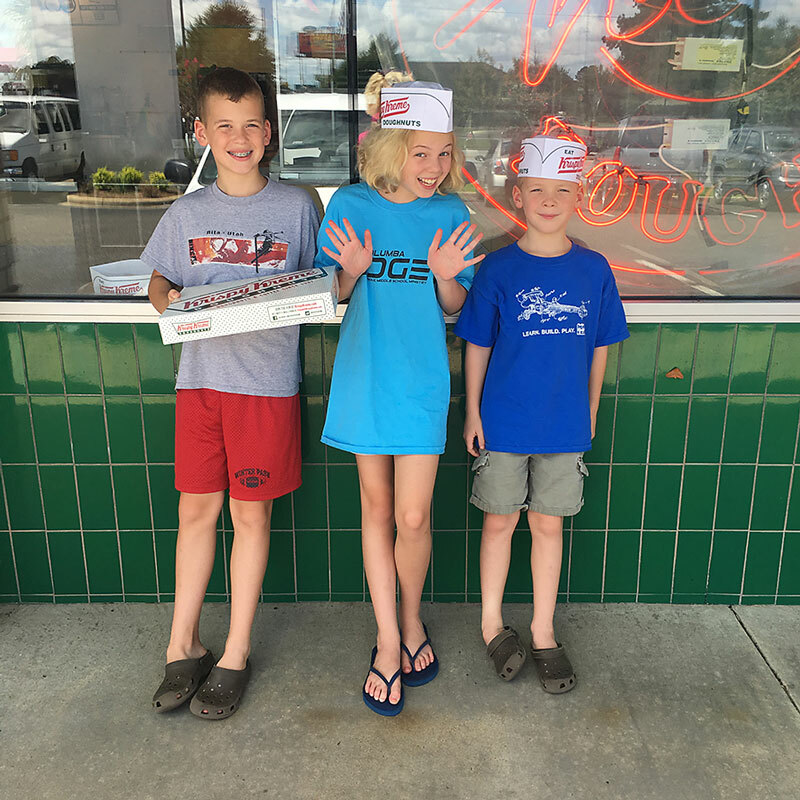 My kids piled out of the mini-van and chatted happily, heading in the door of the donut shop. It was hot — almost 100 degrees on this mid-July day. But it was the first day of school and that means donuts. This was not some spontaneous decision made in the moment, but instead, a planned (and beloved) tradition that makes the first day of school something we anticipate instead of dread. We always start school on a Wednesday. We always start with just a handful of subjects. We always start with a tidy school room. And we always get donuts. Why? Because we like it that way and also because mom is a checklist mom. Being a checklist mom in the homeschool world has become a bit of a dirty word over the past few years. Things like list-checking, scheduling, and laminating are done in secret or not at all. It is not quite fashionable anymore to actually desire and achieve some structure in your homeschool day. Because if you are, you simply must be damaging relationships. Because it can’t possibly be accomplished without being a psycho mom or causing yourself so much stress your hair begins to fall out. Because it might make the other homeschool moms feel less. In truth, organization and structure have exactly the opposite effect on my homeschool than what some might think. Because I know what we are doing and where we are going in our day-to-day, I have time to step back and focus on enjoying my kids and building those relationships. Since I have put systems in place, our routine mapped out, and made all my paper copies for the school year, I actually feel much less stress. And my job is to encourage moms, but I think checklist moms need some encouragement too. If you are fine with flying by the seat of your pants, following whatever learning experience piques your interest today or schooling in your pajamas with messy hair (and an unmade bed!! ), then good for you! I am glad you have found your happiness and peace. But if flying by the seat of your pants and unmade bed make you cringe and begin to hyperventilate … If reading all the “you should be doing less” makes you feel worse instead of better … If you have tried it their way but that only increases your feelings of discontent with your homeschool then maybe you are a little more checklist mom than you might be willing to admit. And it’s time to embrace that. Stop apologizing for it. Because honestly, we have too much to do to spend time being responsible for the feelings of the homeschool mom down the street. We have kids to educate and wringing our hands over hurting feelings needs to stop taking up space on the to-do list. Nobody woke up one day and thought, “I want to be one of those people who achieve more and run a little better with just a touch of stress simmering beneath the surface.” There is a certain balance the checklist mom has to maintain in order to keep life and relationships healthy. If we spend less time fighting the checklist tendencies, though, we have more time to spend maintaining that healthy balance. Make some goals for yourself. What behaviors and habits do you need to focus on this school year? We have a handy form in our free homeschool planning pack that you can use to list a few strengths and weaknesses and then craft three to four goal statements for yourself. Would your life be easier if you did meal planning and prep every week? I love the 5 Dinners in One Hour model that allows me to prep once and cook in minutes all week long. I have started having the kids help me with the prep and counting it as home ec time. Be sure to find a homeschool planner that works with your personality-type instead of against it. Get your homeschool room organized. Does one of your daily-to-dos need to be “hug each child” in the morning? There is no shame in putting that on your list if doing so means you actually smile. In fact, since you live and die by your to-do list, go ahead and put all the “weird” things on there. Things like hug a child, slow down to pray, kiss the husband, and call your mom. These things don’t have less meaning just because you put them on your list first. Create a plan for your school year that will work for you. It’s ok to know exactly what you want to do in the day-to-day of your homeschool. It won’t kill your creativity (in fact, some would argue that it will actually enhance it) but it certainly will bring you more peace. And that’s where I can help. I will be back next week to talk more about how having a homeschool plan can make your year better. 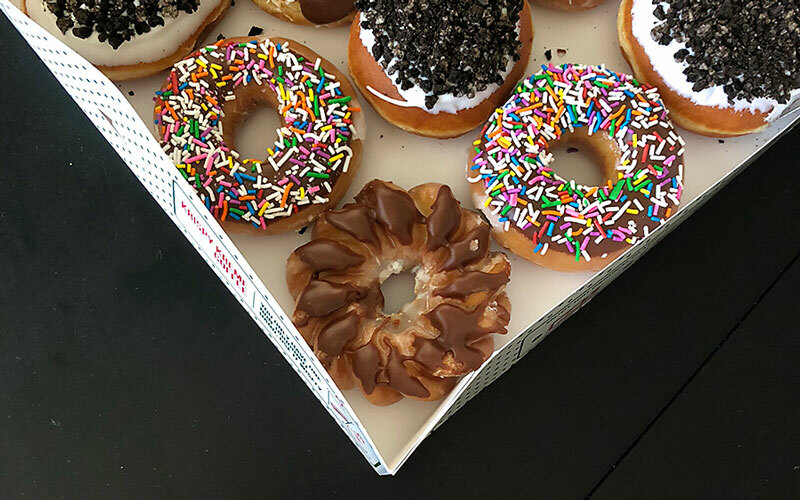 My kids don’t know and don’t care that I took them to get donuts because it was something I planned and put on the to-do list. All they care about was the fact that it was fun … and they got sprinkles. You do you and do it well. And for goodness sake, stop apologizing for it. Speaking of checklists, how about some pretty forms to help you get started on your plan for next year? These are the forms I use to put my plan together. Click below to get them today! Love this so much! Thank you! I am pretty strict (except for about 2 weeks in February -not really sure what is wrong with that month – and the last 2 weeks of school when we are all trying to keep our heads above water. I always feel like I’m either over doing it or under doing it. Never just balanced. Thanks for the reassurance. Yes, this! I stopped long ago trying to do everything on the list. But there’s something about highlighting the things we DID do, even the “other” things I penciled in. It’s so satisfying to me to see a page with things highlighted. Helps me focus on what we accomplished instead of on the unchecked boxes. A plan gives me freedom AND flexibility. Thank you for this sweet reassurance! A checklist is one of those tools that provides boundaries so I can use my superpowers for good and not evil. My biggest takeaway is that we should all do “us,” whatever that is. Homeschooling is about freedom to raise our kids the way we deem best. Happy with lists? Go for it. Got a teen who chafes at lists, but will teach herself if left alone to work at her blazing-fast pace? Toss those lists out. It’s what we did, and it works for us. This was EXACTLY what I needed to hear. So much pressure to do less, but I feel that it is in our best interest to actually do more this coming year. Thank you for helping me realize I’m not alone nor am I crazy. Thank you! So weird how we humans pendulum swing all the time. I am a list maker, for sure, otherwise it would all be running around in my head making me crazy. I have one kiddo who loves a list because they can see what’s left, another who is fine without one but operates more on task with one. Loved these words and I’m totally stealing the donuts for the first day of school. I love this post so much! I have been writing “truths’ about myself as a homeschool mom and it has been so helpful to see how I roll if you will. 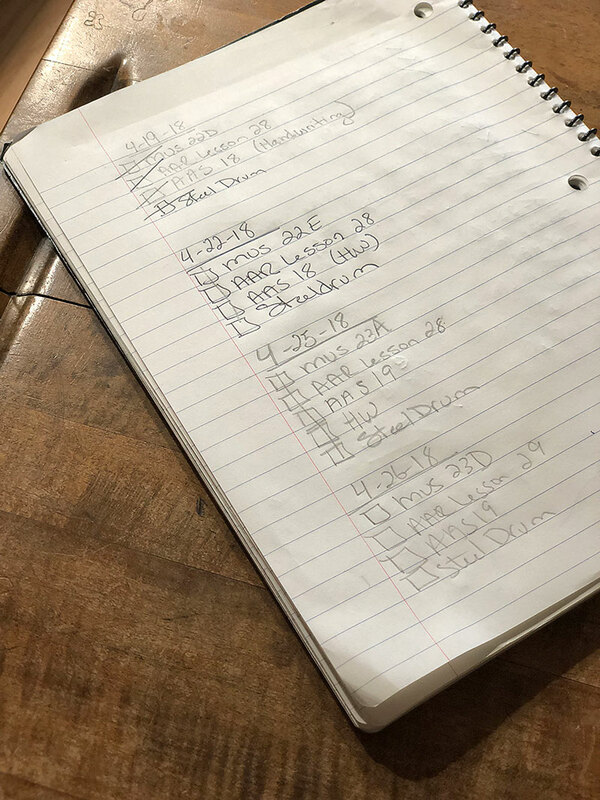 I started homeschooling with your Plan your year forms and resources and I cannot jump up and down enough with how much they help me stream-line my thoughts, my plans, my checklists and my time. I didn’t even know I could do this because I thought I would feel boxed in but I realize that “I” run my homeschool and not my neighbors or the other homeschool mother online. I can have a list and plan and still hold my plans loosely if need be and stretch and give myself needed margin if it calls out to me – especially on one of those days when real life “stuff” happens. And the neatest thing that I have seen and learned is that my 7 and 9 year old want a list! They want to see what they have in front of their day and they beg me for it when they don’t see it first thing. They have their own freedom to do their list in whatever order they want which is the same way I keep my plans flexible too. I love knowing that we can all choose and plan our days according to how we are as families and not have to apologize for it! Thank you. Thank you so much for this post! Our homeschool community dishes out a lot of (passive-agressive) teasing and rolled eyes for listmakers and goal-setters, so it’s encouraging to know I’m not alone! I just love my kids… and my lists! ♥️☑️ Today this post helped me love myself a little better, too. ? I have to admit, I was shocked as I started reading. I am new to homeschooling my 6,8,10 year olds. I have a bunch of homeschooling friends. I am a list maker, keeper and doer. ALL I have read about HSing is “ lighten up”. Okay, yes, I am too rigid. I tried the relaxed approach. My kids got more whiny and lazy. I kept bashing my head against my desire to hit them with a schedule because of all the reasons you said…. as if I am just not loving because my kids must do something at a certain time. So, I finally chose to do what we need. My schedule became an avenue for curiosity, discussion, expectations and joy! (To mention a few) I am in the middle of planning our second year, 4 day week, year round. Looping will be included this time, giving us the schedule we need but the flexibility we need as well. Our Together Time is a favourite so it will be longer. ( my kids hated Morning Time because they were too relaxed and tired to get up and work after read alouds). And on and on, we will enjoy our schedule. Oh and by the way, it is also okay that I keep my house really clean and tidy ( we are minimalist and have no babies or toddlers!) I still love my kids and spend time with them. THANK YOU! Yes, yes, yes! I am a checklist mom; it helps me stay calm and not get overwhelmed, which in turn makes relationships easier! It is easier to feel comfortable, focused, and enjoy what is a round me, right in the moment, when I have my list and routine. Our kids enjoy that consistency as well, and it helps them know what to expect and truly enjoy the days that are different. This is why I love Pam and keep telling all my new homeschool mom friends about her – because I am so this person and all these systems and resources help me feel like there’s a little structure under the chaos of potty training and play dates and first grade melt downs. I can get up the next day and feel like I can give it another try because I know where we’re headed. Thank you for writing this article. That is all I can say!!!! Thank you thank you!!! I never comment online but felt the need today!! I’m such a checklist mom! I don’t have a routine. I have a SCHEDULE. Why? Because it makes my life easier. Stress free is the way to be! Thanks for the validation, Pam. You’re the best! Well said Pam! I’m a planner… a check list Mom…. a daily flash card drill Mom… and a fairly fun Mom. We school year round with very few planned breaks & we have a 4 day school week as long as our school needs are done those 4 days. My kids definitely prefer a small list of things daily and “Friday fun day” to look forward to. My list and just moving on from one thing to the next never leaves me or the kids feeling behind or pressured. It leaves me space to play, to laugh, and to truly enjoy my crazy crew – guilt free!! Thank you for this! I am definitely a checklist mom. I like having a schedule because it keeps us on track and prevents fighting, because my daughter knows what to expect. Not everyday goes as planned, and that is ok, but it is satisfying to get to the end of the day and feel that I have accomplished what I set out to do. Thank you Pam! This is helpful and encouraging. I feel like you’ve been spying on my life! Love you and your resources, Pam! I wish you would come to the IHM National Conference in VA! I would if I were invited. ? Totally suggesting you as a speaker for next year!! I’ve heard of Flylady but know virtually nothing about her … why wouldn’t she work for a “checklist” mom …. just wondering! 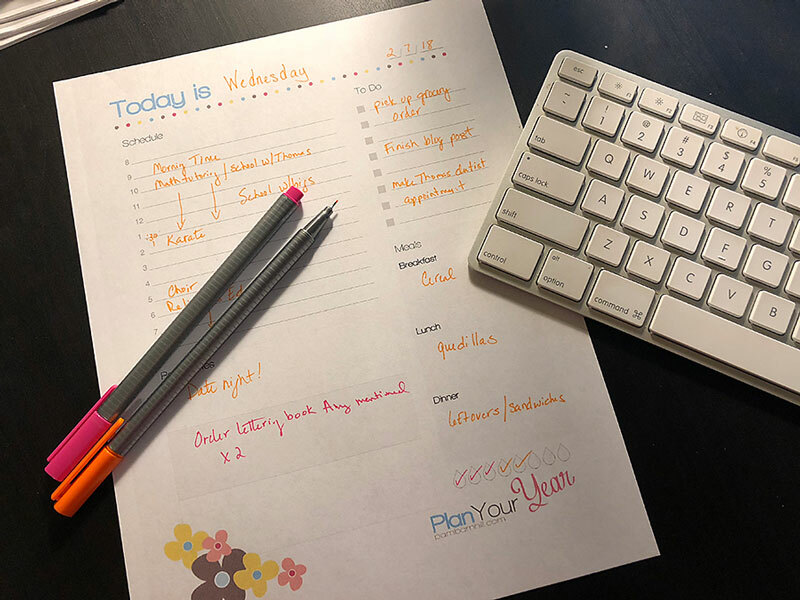 I’m a checklist/scheduler mom and FlyLady works great for me (with a few tweaks because I work full time outside the house). But there are alternatives that some folks like better. I’m a checklist mama to the hilt and love FlyLady. Her system focuses on routines that are done daily, weekly and monthly. While it may not work for some – it works great for me. I enjoy watching her YouTube/Facebook live videos because she has a no-nonsense approach dished out with a heap of love. LOVE this! I have tried (and failed) to be a “fly-by-the-seat-of-my-pants” homeschool mom. 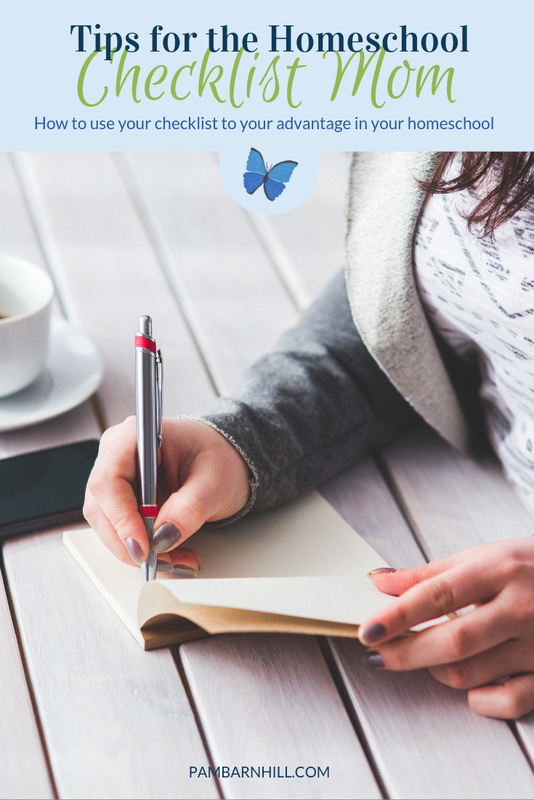 I gave that up and FULLY embraced the checklists a few years ago – around the time I found your blog and your homeschool planners! LOVE it! Checklists make me feel sane! I am a list and box-checker, and have been for 18 years! I truly believe that each family has to do what works in their family. Some day we do have “fly-by-the-seat-of-your-pants days, but generally, we all work better with some sort of guidelines. Thanks for this post! Thank you! Thank you! Thank you! I’m somewhere right in the middle and I always feel like I’m not doing anything right. I need to find a balance and not care what anyone else might think. Yes! Please stop caring. You will be so much happier. Thank you so much! I was feeling like I was failing as a homeschool Mom as I do have my son’s day rather structured. I work out of the home M-F and he does a lot of the work when I am not home so if I don’t lay it out he wouldn’t know what to do. He actually likes the structure. Since he is turning 13 this Summer he will be working with me on how to structure his days. He wants to write a book and I found a curriculum about that for him so I told him in addition to class time he would need to schedule at least 1 hour of writing time each day so he can work on his book. He actually thanked me for telling him it needed to be scheduled as it is a priority for him and I see that. YESSSSS! How much happier we would all be if we could learn to listen without assuming that there is an implied “You Should” attached to what someone else is doing. I so appreciated this article; I definitely feel the judgement when it comes to my lists and plans. Exactly! I’m pretty sure an entire book could be written on that subject. I really love this article! Except, I would say, keep FlyLady in the form of Diane in Denmark on YouTube. She makes the system makes sense and when it does make sense, it’s a beautiful way to build freeing routines. Amen! Thank you for writing this! Great post! I am actually a fly by the seat of my pants mom who wishes I were more like the checklist moms! I admire you and the organization you are able to achieve. So yes, go on and make those lists unapologetically…you never know who is looking up to you and learning from you. Amen to this! Thank you for reminding those of us who swoon over lists, and who like to laminate, that we are not weirdos. Well, maybe we are a little. Like that time I bought a box of 100 laminating packets just to ‘be prepared.’ (For laminating emergencies? *Snort*) I felt so refreshed reading this. When I try to be loose and spontaneous mom, I wake up two weeks later feeling dazed and confused and the house is in shambles and it’s a hot mess for everyone. Be you. Amen. Thank you! It’s nice to hear that my lists and planning is OK. We keep a schedule for homeschooling and try not to schedule appointments in the morning so we can protect our school time. Pam – Where can I find your “Today Is…” page – it is shown in a picture above with your keyboard and some pens. I have an account, but can’t find that lovely page. Thanks! This was a breath of fresh air for me…thank you for posting this! Thank you. I have just been wondering if being a checklist mom means my kids aren’t getting the full benefits of being homeschooled (i.e. following rabbit trails of special interests as they arise). However, with my 4 boys, just keeping everone moving in a good direction takes a lot of work and LOTS of boring routine. ? I have been homeschooling for 20plus years now and I am so impressed with you younger moms. Never give up your checklists, they help keep order and then when things are messy you know what to do next. In the midst of life this is absolutely necessary. I have been doing morning time and noon time before I ever knew that is what they were called ? After graduating 3 kiddos and moving on with numbers 4 and 5 I can tell you that the routines are the most remembered and precious things.They are what builds the relationships and keep us on track! Bible is our most necessary subject and always what we tackle first and never give up,regardless of attitudes, moods, or lack of time, and it always provides hooks for everything else. Keep up the good work! Our God is a God of order and He will reward you! Nice traditon of donuts on the first day of school. We will likely make them ourselves to avoid GMOs. You mean not everyone maps out their day in 30 minutes increments so they know what they should/could be doing at all hours of the day? 🙂 With 3 kids age 3 and under, I live and die by a schedule. Or really they live by the schedule. We are not really doing a lot of “schooling” now, just a simple 15 minute morningtime over breakfast, but I know when we get there it will definitely be scheduled. The schedule and lists keep us moving throughout the day and if I see an opportunity for something spontaneous and fun I can jump on it, without feeling like something is going to get lost in the chaos. Thank you for this post. I am a checklist mom, and I just about cried with relief hearing this on your podcast because now I know, I’m not the only one! Since using checklists (one notebook of daily checklists for each of my 2 boys), I feel so free and yet focused. Timed schedules were just not working for us– for a few reasons. I don’t think this works for every personality or lifestyle but it really works for us right now! Thank you. No one needs to apologize for doing what is best for themselves and their family. Thank you for this. I do apologize a lot for being me. I thrive on checklists, accountability, goal setting. I’m a recovering perfectionist and overachiever in the sense that I want to have a healthy balance, not shame myself when I miss the mark. Yet it is me, how God crafted me, and mam I can get stuff done with a list. When I don’t have one I feel like I’m wandering aimlessly missing all the moments. And because I’m so task oriented I do need to put hug my child, look in their eyes, sit with them and just listen, or have fun only for connection. I love and value them better in a way they understand. Just like someone doing tasks for me makes me feel so loved.